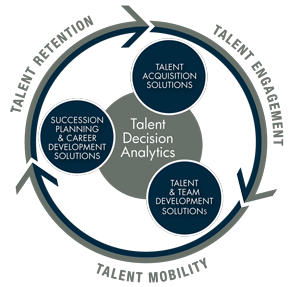 Talent decision analytics pay off across every business metric! 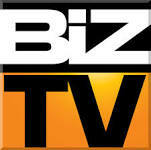 No function is more disciplined in analyzing data relevant to business success than business development. Their financial, operational and market analyses are comprehensive and rigorous to ensure the best investment decisions for their investors. On the other hand, evaluation of leadership, organization and culture is subjective at best. While many case studies demonstrate that the health of an organization’s culture and quality of leadership are top predictors of success, measuring those critical factors has been more an art than a science. Korn Ferry’s July, 2016 Briefings includes the article, Why Boards Make Bad Decisions, which emphasizes the importance of having a sound succession plan and the right team in place for ongoing success. Yet, measuring leadership fit and cultural health has been the weak link in predicting success for businesses across industries! The old saying that a chain is only as strong as its weakest link is all too true when it comes to measuring talent! In fact, having an objective and rigorous methodology for evaluating leadership potential and fit with position, culture, and team for existing and targeted portfolio investments dramatically upgrades due diligence, growth strategy and integration processes. 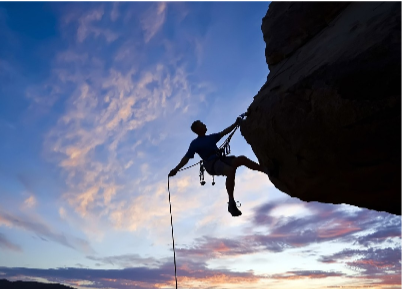 Beyond financial, market and operational measures, Savvy board members and top leaders understand that the right leadership for the short and long term success. To better understand leaders’ behavioral fit with culture, market demands, team dynamics and operational goals,best-in- class organizations increasingly have adopted talent analytics. 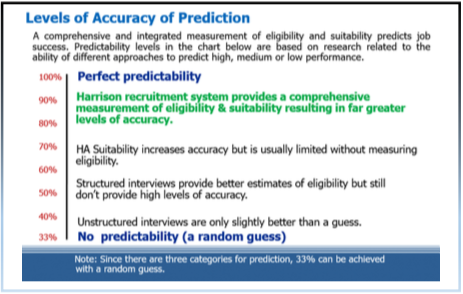 Now there is an in depth behavioral assessment and talent decision analytics system that meets the need for a scientific approach to human capital management – Harrison Assessments. Based on position- specific research, Harrison Assessments measures over 175 traits and competencies with researched position success templates for senior leadership including “C” level positions. 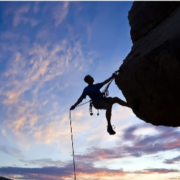 Similar to the objectivity of financial and operational analyses, Harrison Assessments talent system facilitates improved analysis of strengths and potential fit with up to 95% predictability. 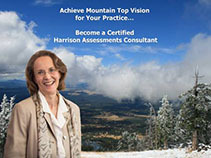 Harrison Assessments strengthens talent analysis to a whole new level of rigor. While generally very subjective, measurement of competencies for leadership, emotional intelligence, and collaboration can now be validated with Harrison Assessments based on in depth research, benchmarking and mapping to Harrison’s comprehensive work place preferences and traits. 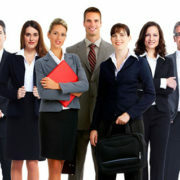 While many organizations are dependent on background checks of past experience and interviews to assess leadership talent for hiring and development that are often only 50 – 60% predictive, talent-focused organizations utilize Harrison Assessments to dramatically improve predictability of success. KPMG’s 2016 Global CEO Outlook identified five top priorities over the next three years; it is no surprise that Talent Management was included. 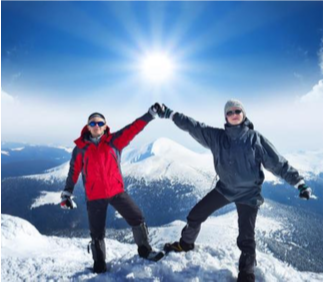 PE firms no longer can settle for antiquated measurements of leadership, the very heart of organizational success! Whether measured in terms of growth, ROI, innovation, competitiveness, client focus, technology or marketing/ communication, success depends on talent; relationships and performance depend on effective leadership. 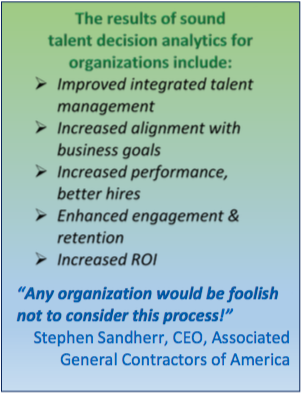 Stephen Sandherr, CEO, Associated General Contractors of America shared, “Any organization would be foolish not to consider this process!” Talent decision analytics not only strengthen the weak link in leadership and cultural analysis, but increase the pay- off across every business metric!